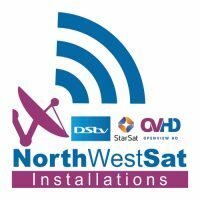 OVHD will soon no longer be using the services of one of our two satellites currently used for broadcasting. If you are tuned into the satellite we are switching off, you will need to move your dish. To get assistance from our Installers please submit your contact details using the form below. Alternatively please go to Channel 100 to see if your satellite dish needs to be moved. My decoder does not switch on. The light on the plug us on and so is the light on the remote when a digit is pressed. The on button on the decoder also does not do anything.